No problem! 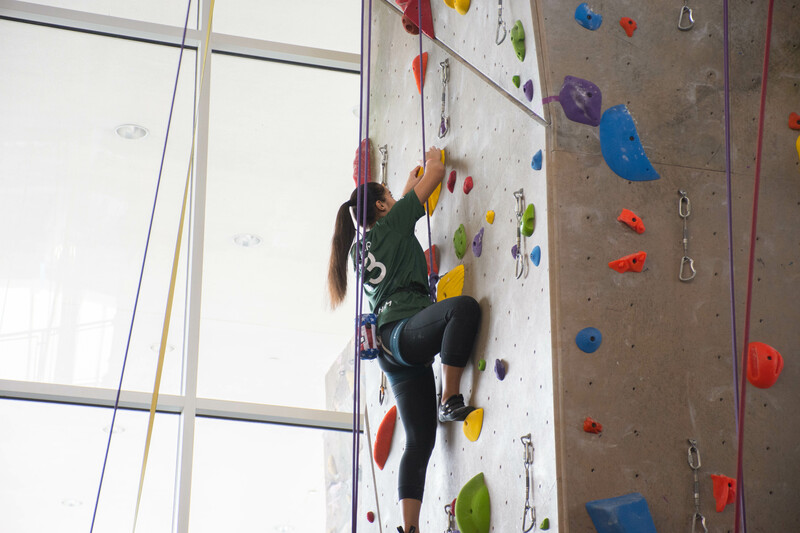 You can stop by the climbing wall located on the lower level of the Recreation and Wellness Center any time the wall is open and receive an orientation by one our trained staff members. Upon orientation, you will have a basic membership to climb using our auto belays, boulder in our cave or two towers, and climb with a top rope skills verified member belaying you. Use of the clmibing wall is free for all members and no experience is necessary. Climbing is a thrilling and rewarding sport that can be enjoyed by those with all experience levels, but it is important to realize that climbing involves inherent risks. We feel strongly that one of the keys to climbing safety is high quality instruction, and we strongly recommend participation in one of our FREE fundamentals of climbing workshops. 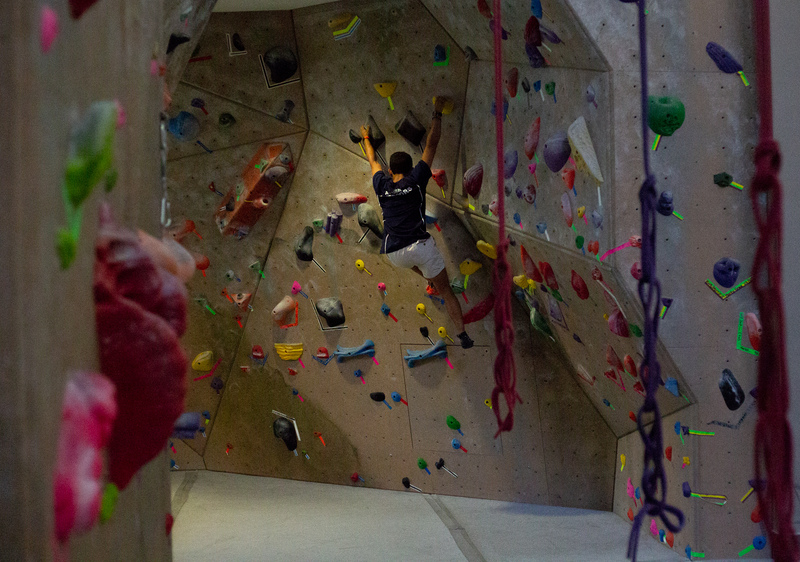 This workshop is intended for members who want to learn belay techniques, utilize equipment properly, climbing commands, and knots for top rope climbing at Auburn’s indoor climbing facility. This workshop will teach members the necessary skills to climb independently at the climbing wall. For more information visit RWC Connect. These are offered any time during the climbing wall normal hours of operation. Climbers must demonstrate proper knots, belay techniques, proper equipment usage, and climbing commands to be considered tope rope skills verified. Verification can be done 24 hours after taking fundamentals of climbing workshop or if you are knowledgeable climber, you may test out. Climbers must renew verification every academic year. 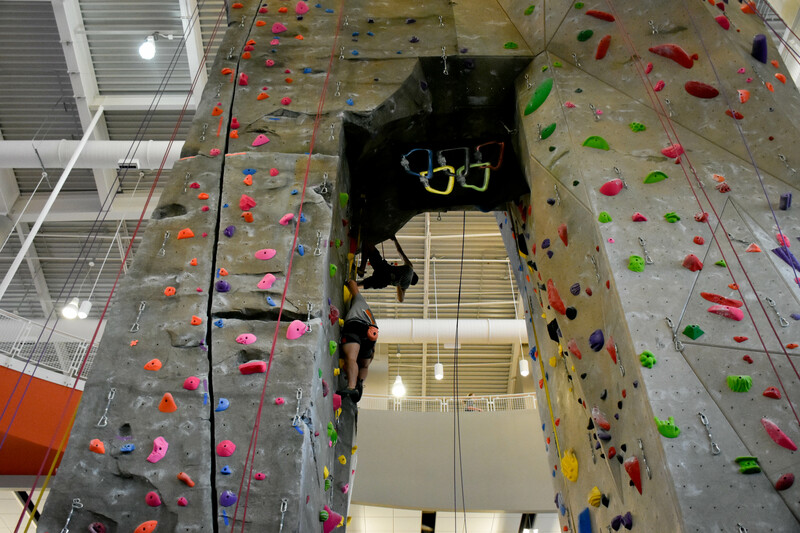 Lead climbing is for members who want to learn belay techniques, proper equipment usage, climbing commands, and knots for lead climbing at our indoor climbing facility. Climbers must comfortably climb a 5.8 prior to taking the course. Climbers must be top rope skills verified prior to enrolling. Workshops are offered Sunday evenings during the semester. For more information visit RWC Connect. Please visit the climbing wall desk to determine verification opportunities. Climbers must demonstrate proper knots, belay techniques, proper use of quick draws, and climbing commands to be considered lead climbing verified. Climbers must be top rope skill verified prior to being considered lead skilled verified. Verification can be done 24 hours after taking the Lead Climbing course. Climbers must renew verification every semester.